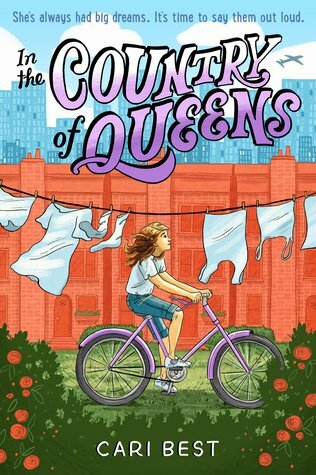 In the early 1960s, Shirley lives in Queens with her Russian grandmother and her mother, Anna, who works in a retail store and is dating a man named Hal. Shirley vaguely remembers her father, but he hasn't visited in years. Her mother's sisters live nearby, and she spends a lot of time with her cousin Phillie. Shirley is used to adults not listening to her opinion, so when her teacher accuses her of plagiarizing an essay, she doesn't argue with him. She also doesn't argue when her mother makes her go to ballet, or won't let her go with her cousins to their summer cottage because she has to go to day camp. When Shirley opens a piece of mail and finds out that her father is actually dead and her mother has failed to tell her this, she decides that she will finally stand up for herself and get her way in some things. This takes a while, but eventually, Shirley is able to stand up to her mother and her teacher and let her opinions be known. Strengths: There were some excellent period details that I really enjoyed. The details of hanging out laundry, having family dinners with cousins, living with a grandmother from the Old Country, and the general depiction of Shirley's neighborhood and school were wonderful. I strongly suspect the author drew on her own memory. There is enough plot to move the book forward, and I wanted to see if Shirley would end up going to the lake with her cousins! Weaknesses: There were some rather odd things that made the book uncomfortable. The mother insisting that Shirley spend a half hour in the bathroom before ballet lessons was odd, and I half expected Hal to be a child molester. Shirley referring to the Palace of Light and setting toilet paper on fire in the sink caused great concern, and her insistence on keeping a dead mouse in the freezer did not lessen this. It was also very hard to believe that her mother would not have told her about her father's death. What I really think: I am conflicted about this title. I need more books set in the 1960s, and the details were fantastic, but I'm not sure if my students will be as put off by some of the details as I was. Debating.